do boys really play with toys? With the new school schedule, I have two days a week where I’m home with just India and Karis. It’s . . . interesting. It’s so quiet. And so easy. I’ve actually been blown away by how different it is, and I think there is one main reason: My boys don’t play with toys. My girls do. My girls will sit for hours and entertain themselves with toys. They don’t need any prompting from me. They create little stories. They play alone. They play with each other. Independently. Quietly. For lengthy stretches. When they get bored . . . they go get another toy and play some more. My boys, on the other hand, aren’t so interested in toys. 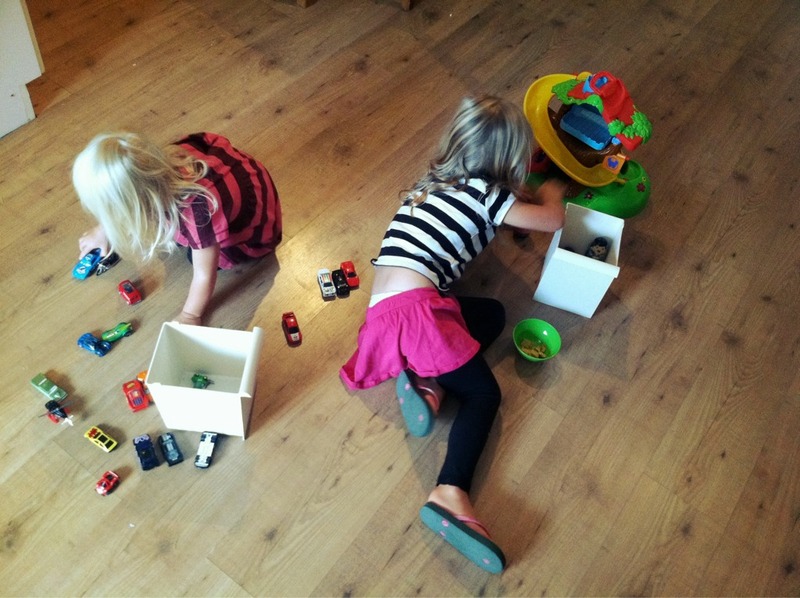 It’s not for lack of trying – we have every kind of toy in the house and I’ve tried so hard to get them interested in the kind of quiet, solitary play that the girls engage in. I’ve outfitted their room with every possible toy set-up imaginable: shelves, bins, rotations, you name it. The toys are ignored. I don’t want to make it sound like the girls are more advanced . . . they just have different skills. SKILLS THAT ARE QUIETER AND LESS ANXIETY-PROVOKING. 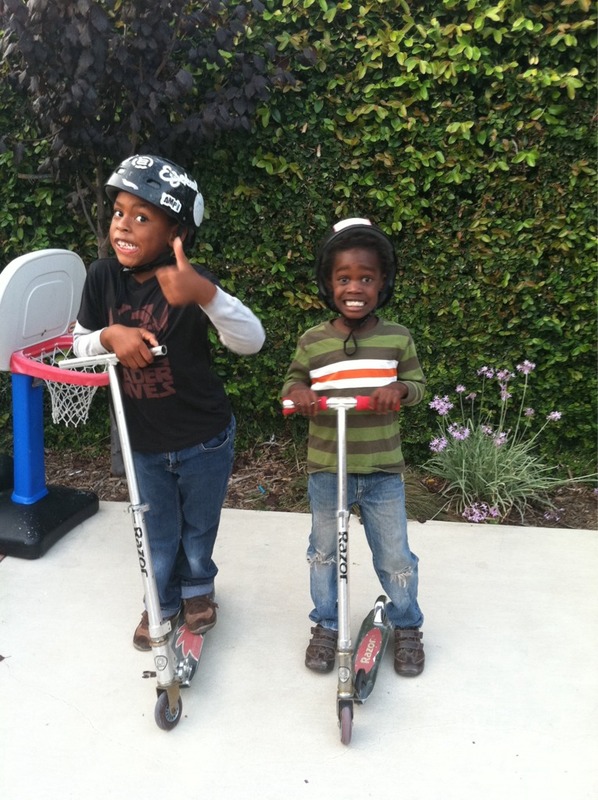 While India is barely riding a bike with training wheels, Kembe is popping wheelies on a bike made for boys age 8-10. 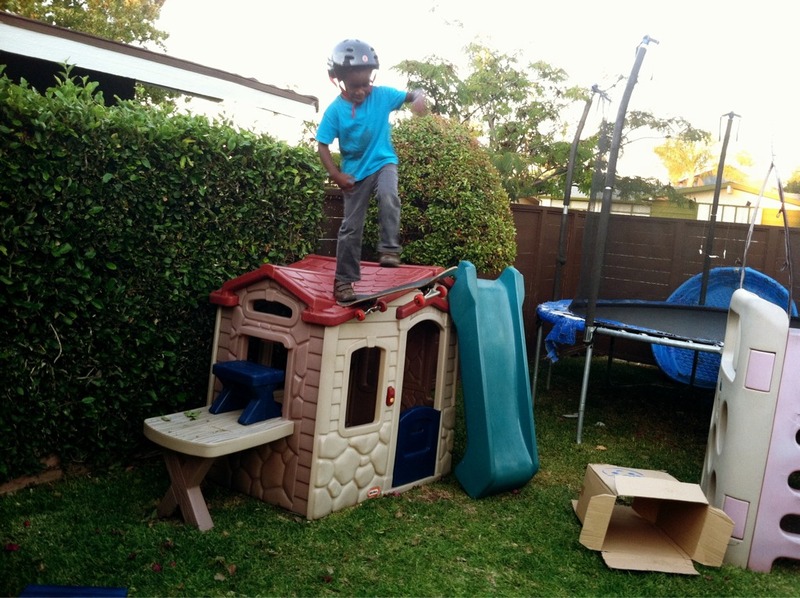 India may know how to draw an elaborate scene of she and Justin Bieber, but Kembe knows how to drop-in on his skateboard from the top of the playhouse. My boys know how to entertain themselves, alight. It just comes in the form of razoring, skateboarding, throwing balls onto the roof, playing dodgeball on the trampoline, wrestling, swordfighting, and general mayhem. I know that boys and girls are different, but I didn’t expect it to be quite so extreme. Coming from a family of all girls, their behavior is often baffling to me. I struggle with wishing they could just engage in a quiet activities. On occasion, I can get Jafta interested in Legos. For about 15 minutes. Kembe? He just sort of wanders aimlessly around the house if I ask him to find a quiet activity. I also noticed that very few of the kids in Kembe’s orphanage played with the toys there. The toys were generally using for throwing at each other, or in the air, or to crash other toys, but I didn’t observe much pretend play. They were all boys . . . but is it a developmental thing, too? Lack of modeling or stimulation or something related to that setting? Or is this just a boy thing I’m overthinking? [Edited to add: check out this post for more on how orphanage life affects play skills]. 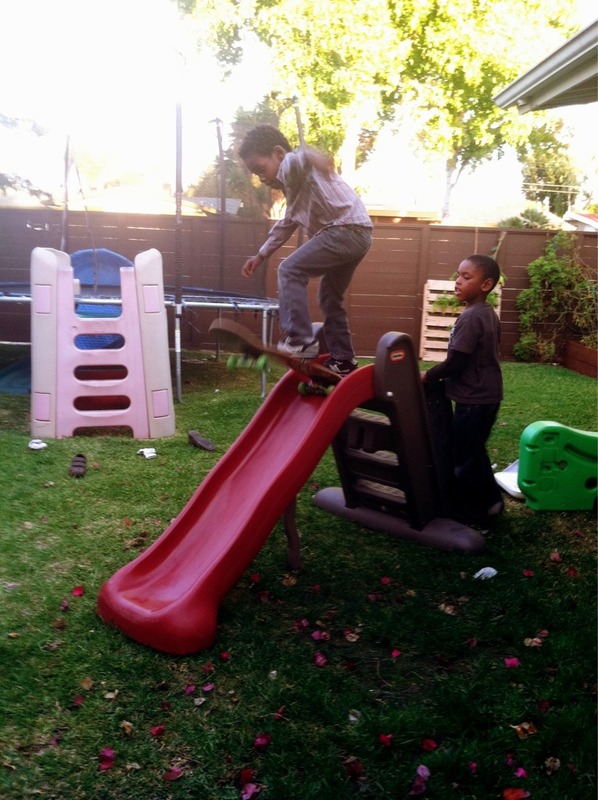 My boys are certainly imaginative, but it’s focused on physical activities. The problem we’re facing is that winter is coming. And sure, we live in a moderate climate, but there will still be days that it’s too cold to play outside. Which means the boys are bored and climbing off the walls. So, I’m a little curious. Is this phenomenon a typical gender thing? Do boys just not really play with toys? Any tips for getting them interested in the matchbox cars/transformers/superheroes/tool kits/lincoln logs/star wars figures we have littering the house so that we can stay sane this winter?